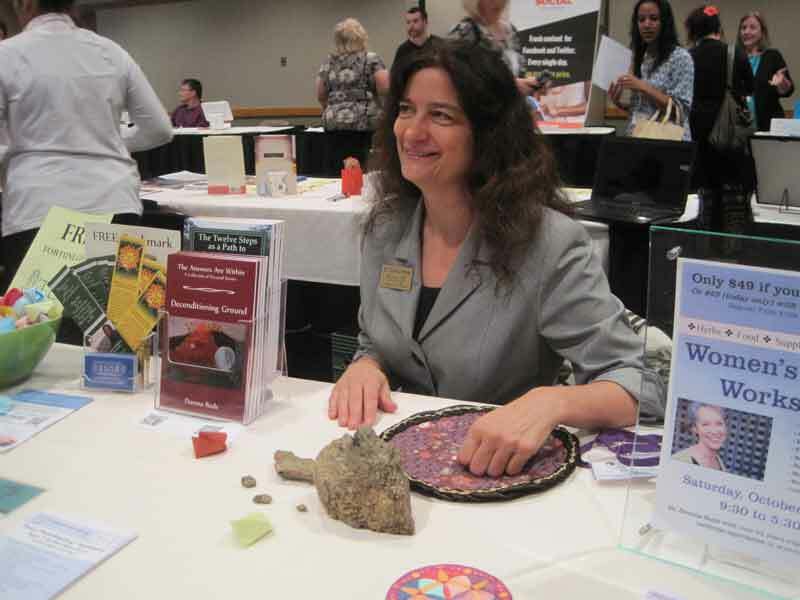 On Sunday TESLI had a booth at the Global Women’s Summit at the Mesa Convention Center. There were about 500 women in attendance with Marianne Williamson as the Keynote. 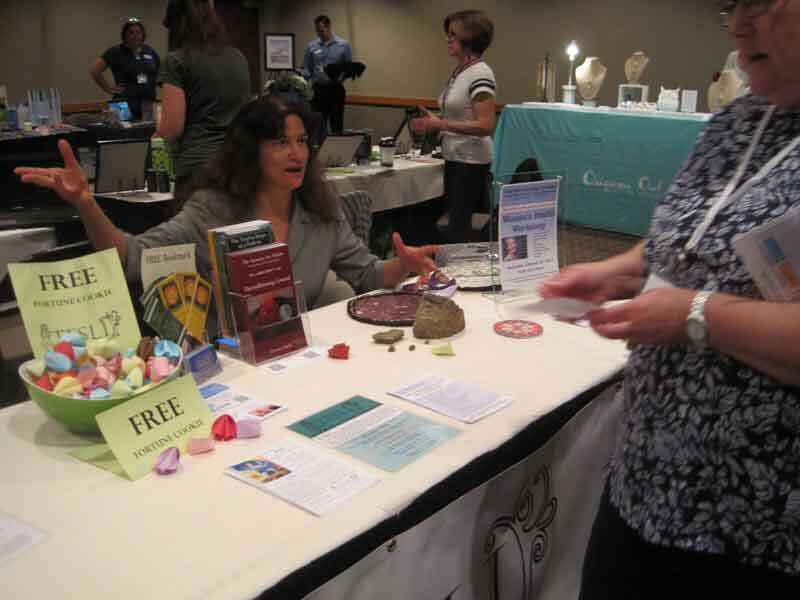 We met a lot of great women leaders, healers and professionals. 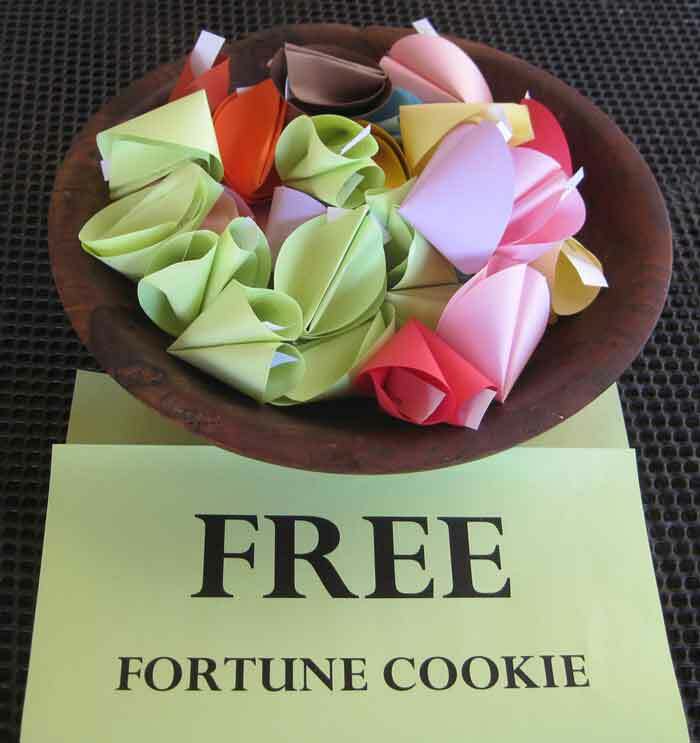 Our free paper fortune cookies were a big hit! Many people read their fortunes and asked, “What does it mean?” Apparently people were waiting to be told what was going to happen, instead they were frequently asked to abide in a question. 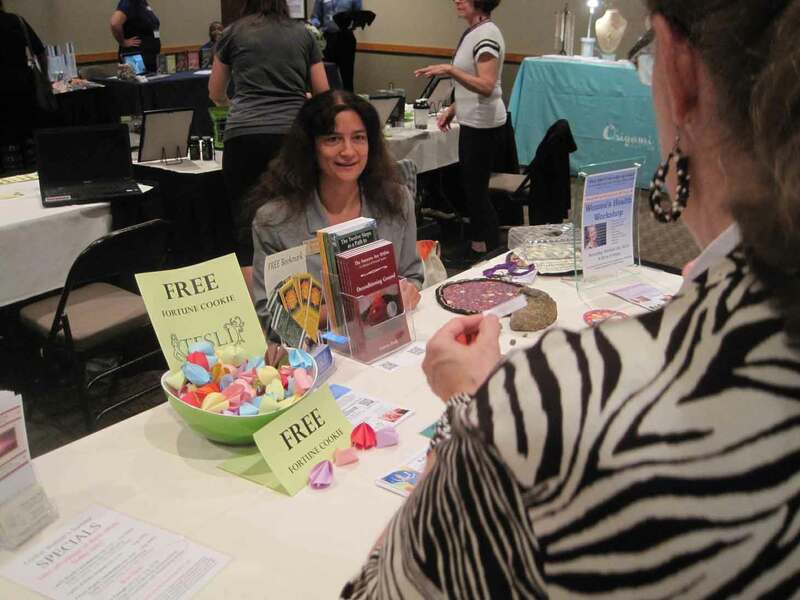 Like the 70 year old that pulled: “What energy, space and consciousness can me and my body be to get younger every year?” She was real curious about that. Of course, with her colorful tiara and jewel studded purse I am thinking she might already have living backwards down to an art. Thanks Eric for helping at the booth and taking the pictures!